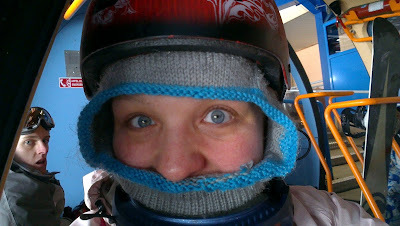 Another solo ski trip selfie: this was on the funicular to the glacier in Tignes, October 2012. Loving the guy behind me: completely unimpressed by my narcissism. I think I managed a few more than one run on this trip, but, as you might not from the melting snowflakes on my ski mask, the weather was quite poor.